Sydney Wildlife was established in May 1997 by an experienced group of wildlife carers to meet the specific needs of urban native wildlife across the whole of the Greater Sydney Metropolitan Area. Our full name is Sydney Metropolitan Wildlife Services (Sydney Wildlife for short). We are licensed by NSW National Parks & Wildlife Service to rescue, rehabilitate and release sick, injured and orphaned native animals, and to educate the community, at all levels, about the need to protect our native animals and to preserve their habitats. We are a registered charity and all of our team, no matter what role they play in the organisation, are volunteers. Right: This is one of two adult Pacific Black Ducks found covered in oil on a golf course. The ducks had to have all the oil cleaned from them and then be kept in care for a few weeks until they were waterproof again. They were both successfully returned to the wild.  Don’t take risks that will place you in danger.  When safe to do so move the bird or animal away from immediate danger and if possible place in a cardboard box or other suitable container. If available, a small towel, discarded T-shirt or other soft material will help give some comfort and warmth. Place the box in a dark, quiet environment.  It is most important that you do not offer food or water. Native wildlife have specialised diets. Feeding an animal suffering from shock can be fatal. Also, remember that the animal may need emergency treatment and the same as humans, a full tummy and a general anaesthetic are not a good combination.  Make a note of the exact location where the bird or animal was found. This is very important as some animals are very territorial and must be released as close as is practicable to where they were found.  If possible take the bird or animal to the closest vet (there is generally no charge for native wildlife).  If you are not able to transport the bird or animal to a vet, call Sydney Wildlife on 9413 4300 for advice and assistance.  If you find a Flying Fox (bat) or snake, do not touch it, call Sydney Wildlife immediately. Remember: It is illegal to keep native birds and animals taken from the wild. Sick and injured native birds and animals must be passed on to authorised, licensed wildlife carers. If you would like to become an authorised, licensed carer, see the information below. Are you interested in rescuing and/or caring for native wildlife? If you are at least 18 years old you can train to rescue native wildlife in your local area and/or care for native wildlife in your own home. Courses are held on a weekend and entail 2 full days’ training. You don’t need any special qualifications to do the course, just a love of animals and a commitment to the protection of native wildlife and their habitat. Once you have completed the initial course and gained some experience you can go on to do other specialised courses. If you go out to work, have pets or live in a unit you can still be a rescuer or carer. For more information visit the Sydney Wildlife website www.sydneywildlife.org.au or give Sydney Wildlife a call on 9413 4300. This poor little chap had a bumpy start to life. His mother was killed by a car. He was in the pouch at the time and sustained a broken leg. 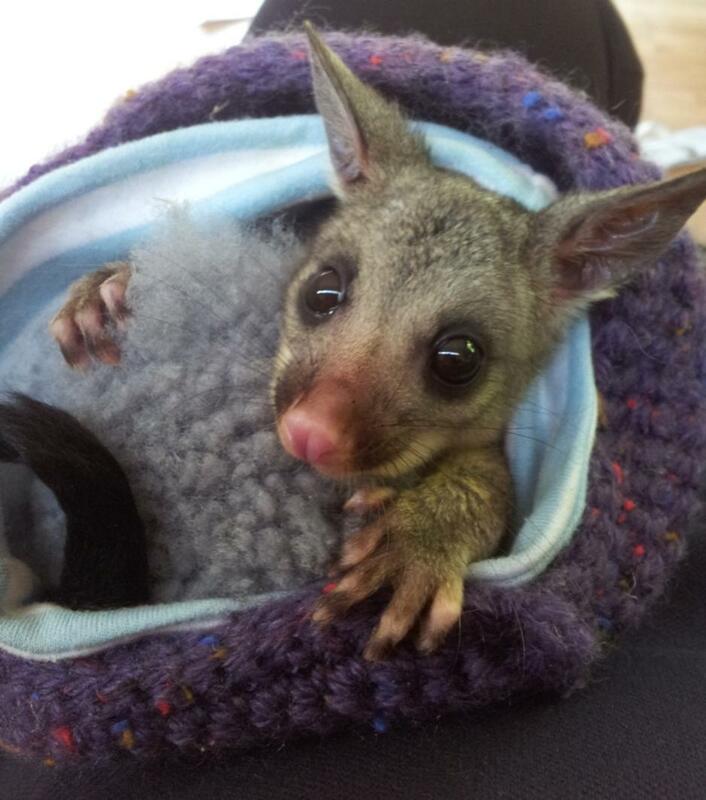  Seek advice or assistance if you come across sick, injured or orphaned native wildlife.  Keep cats and dogs in at night.  Secure 2 noisy bells to your cat’s collar.  Plant native trees and shrubs.  Don’t feed native birds and animals (native trees and shrubs are a better source of food).  Preserve natural habitat through bush regeneration.  Assist in reducing the horrendous road kill toll in Pittwater by driving carefully and watching out for wildlife, especially at night.  Consider making a tax deductible donation. • Place containers of water both on the ground and at varying heights in shady, safe areas where they are accessible to native birds and animals but not to pets. Stick to terracotta, ceramic or plastic containers as metal containers get too hot. • Make sure that containers are sturdy and/or secured to ensure they don’t tip over if birds or animals stand on the edge to drink. Remember to top up and change the water regularly. If you are concerned about heat affected wildlife you have found, call Sydney Wildlife on 9413 4300 or a vet. This mother and baby Flying Fox were affected by the extreme heat (January 2013) and came into care with Sydney Wildlife to recover before being released back into the wild. Orphaned juvenile ringtail possum being hand raised by a Sydney Wildlife carer. 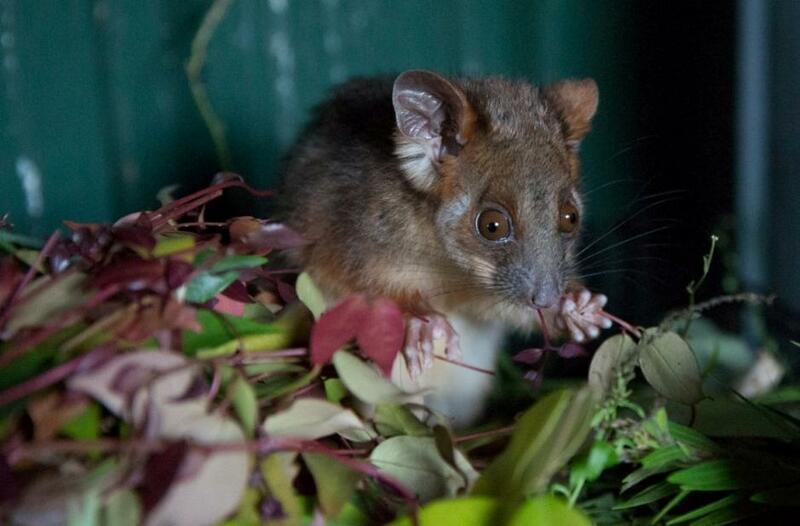 Cal - he came in as a tiny "pinkie" baby brushtail possum and was hand raised by an awesome Sydney Wildlife carer. This Kookaburra is suspected to have eaten something that had been poisoned. He was very sick for a little while but after some R&R with an experience Sydney Wildlife carer was successfully returned to the wild. Kookaburra's have a very strict social order so it is vitally important that they are released as close as possible to where they were found so that they can return to their group. 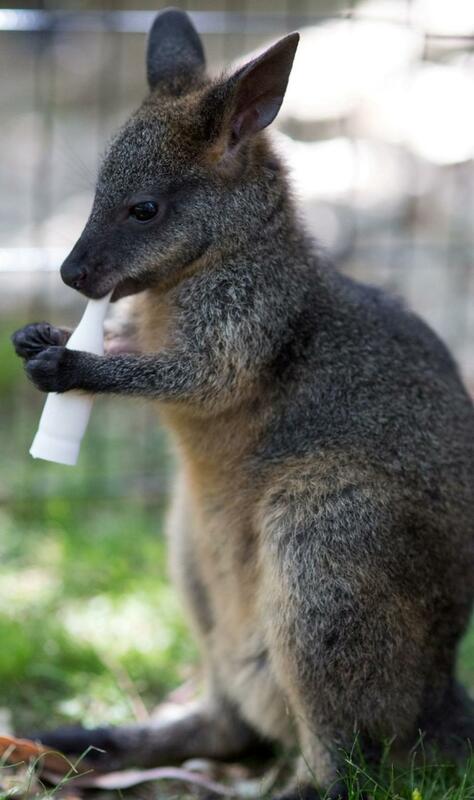 This juvenile wallaby was being hand raised by a trained Sydney Wildlife carer. It's mother had been hit and killed by a car.